Quote my boyfried : "That is the strangest pizza I've ever seen". He liked it tho, at least his minimalistic half. I think you can never have too many good things on a pizza. Thanks for sharing! How is the shape like that? That looks delicious! 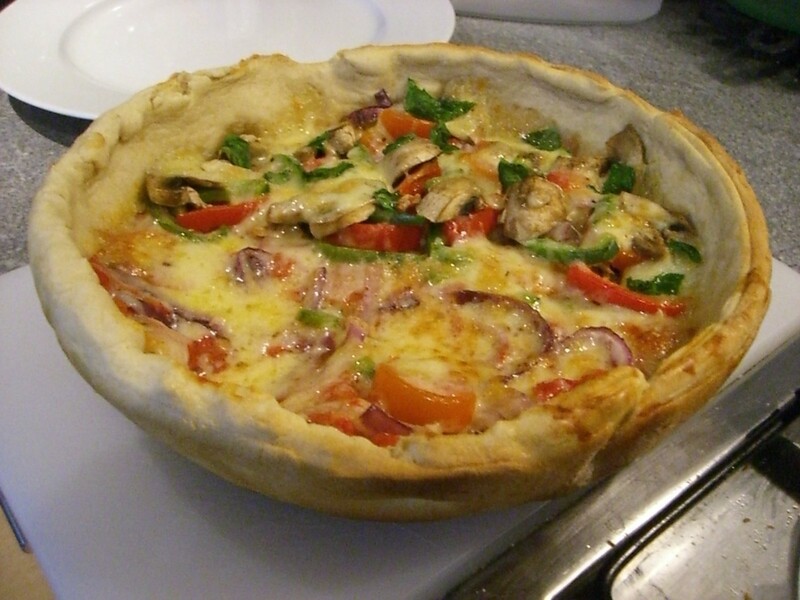 A real "deep dish" pizza!